As it turns out, mixing Orange & Blue makes a Perfect PINK? That’s right. Who knew that such color combinations could produce such a vibrant pink hue. You may have noticed, all over the countryside, wrapped bales starting to accumulate. With the odd break in rainfall, farmers are wrapping up their first cuts and the accumulation of wrapped bales is starting to be not only evident but even more noticeable on many farms. Pink bales! That’s right -pink bales. This season, we are seeing them pop up everywhere. Okay -different some say; cute and cool are other initial reactions. Well, it turns out that there is a reason for this growing display of pink bale wrap. Pink, as you, is synonymous with Breast Cancer awareness. A color that all too many people understand when they see the endless efforts that go on in communities that raise money, create awareness and draw attention to this disease that touches so many lives, either directly or indirectly. 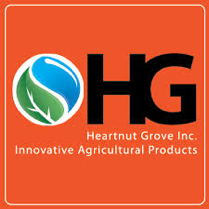 HG, out of MountBrydges, Ontario, is known for its passion for providing innovative agricultural products. HG offers a full range of solutions from the smallest of a hobby to mass production farming operations in an array of product categories farms suited all types of Ag businesses. HG’s Silage Division has stepped for a great cause. When asked why? “Why not”, says John Pol, owner/ operator of HG. “I’ve seen this in other parts of the world and has seemed to have caught on very well. We sell an abundance of wrap in the marketplace and what a great way to help draw attention to such a worthy cause”. Truly upon seeing these huge pink bales in such grand numbers, it does make people ask why. Bob Walker, a sales rep at HG, says with a proud smile, “It’s all about keeping the conversation alive which helps keep people alive. We are happy to do this and the sheer volume of bales in a harvest is really catching people’s attention”. Pink bales are catching on with a fervor. New to the Canadian market in 2016, HG partnered with one of the world’s leading, high-quality silage wrap manufacturers, trip last, to produce the product. It is the same favored TrioPlast wrap, with its robust reputation for tack and tensile strength that farmers have come to rely on. And yes, it is still available and sold in white or green but now also pink. The partnership on this product is superb because it not only has the durable and dependable quality that consumers already know but has the added benefit of its color does even greater work in the community. “It’s really not a big deal but it is! What I mean is, for the decision was easy, with no added cost and the same product, why wouldn’t do it? In fact, Pol goes on to say, “both HG and trip last, will make a collective donation of $3/ roll at the end of the campaign”. A fine example of community stewardship, helping with a deserving cause. HG’s main badge color is orange and trip last is blue. Who knew, that blending orange and blue would make for such a perfect, plentiful, purposeful PINK! HG has knocked it out of the pasture with this real win/ win product.